This title is for comic-book fans everywhere - an updated edition of the A-Z reference of the DC universe. 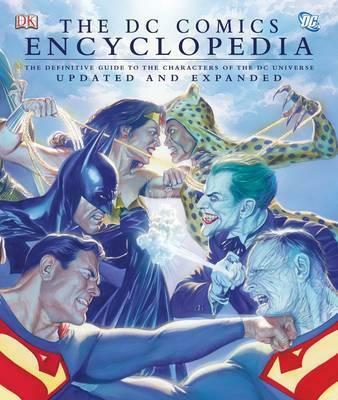 New and expanded, this one-volume encyclopedia of more than 1,200 of the classic characters created by comics giant DC is essential for any fan. With new entries on the latest DC characters and expanded ones on Superman, Batman, Green Lantern, the JLA, Aquaman, Catwoman and Wonder Woman, all the world-renowned super heroes and super villains are here, as well as the weird and wonderful one-offs. Special features celebrate some of the DC heroes and villains' more memorable exotic vehicles and weaponry, their titanic clashes, or romantic encounters plus recent story developments including the Infinite Crisis. With a brand new cover designed by Alex Ross, one of the world's pre-eminent comic book artists and thrilling original, comic-book art, the fun and excitement of more than 60 years of comic-book history explodes off every page!